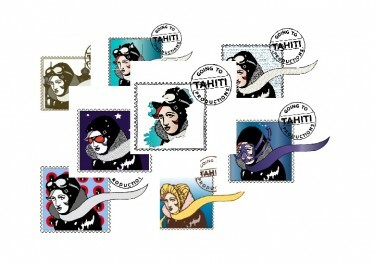 WHO IS Going To Tahiti Productions? Going to Tahiti Productions (GTTP) was founded in 2008 with the goal of giving more opportunities to women in the entertainment industry. The company focuses on development and production of original works including Within Arm’s Reach adapted from the novel by Ann Napolitano, Bella’s Dream, a play with dance written by Dana Boll, Jane Austen’s Persuasion adapted by Laura Bultman, In the Ebb and Skin Flesh Bone, original plays by Camilla Ammirati, a GTTP adaptation of the Mary Doria Russell novel Dreamers of the Day, the New York debut of Ruth McKee’s one woman play Full Disclosure, and a developmental production of Carrie Keskinen’s solo show, Cat Lady Without a Cat. GTTP recently production of a one hour dramatic television pilot, Farm Story and is currently in preproduction on the web-series Hot Flash!. Although the company does not have a standing ensemble, casts and crew for all of their shows are drawn from a mixture of GTTP regulars and newbies. Details about all current projects can be found on the “Shows and Events” page at www.goingtotahitiproductions.com. Beatrice, the creation of GTTP Graphic Designer, Christine Diaz, was born in late 2010. Christine gave us several options for our identifying logo, but from the beginning it was clear that only Beatrice captured that sense of stregth, and feeling of adventure that we feel exemplifies the spirit of GTTP. Beatrice not only represents our company, but she changes her look to represent GTTP’s current project. Examples of some of her various looks are above. Jessica has been a storyteller all her life, though it wasn’t until after college that she turned that “storytelling thing” into a directing career. 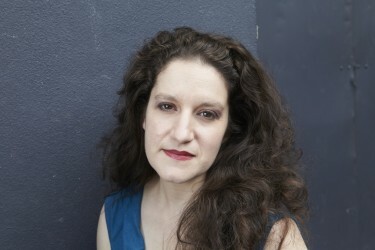 She has directed and produced theatrical productions (the majority of them original works) off-off Broadway, a music video, the short film Skin Flesh Bone, which the GTTP ensemble later adapted into a play, the web-series The Jane Games, and a sixty minute long, independent, dramatic television pilot, Farm Story. She is currently in pre-production for the web-series Hot Flash!, A Superhero Story for the Menopausal Age and in various stages of production for several short films. She is a member of New York Women in Film and Television, Theater Resources Unlimited, The League of Professional Theatre Women, and the Stage Directors and Choreographers Society. Jessica started Going to Tahiti Productions in 2008 with the hope of providing more opportunities for women in the entertainment industry. For more info on Jessica, you can check out her personal website: www.jessicaammirati.com. In addition to being a director and producer, Jessica is also a NY State Licensed Massage Therapist, a DONA Certified Birth Doula and a Lamaze Certified Childbirth Educator – but that’s another story entirely. Jessica lives in Brooklyn with her husband, no kids and no pets, but she does have a frisky metal-framework, light-up, articulating reindeer named Noelle 2 who graces her living room year round.